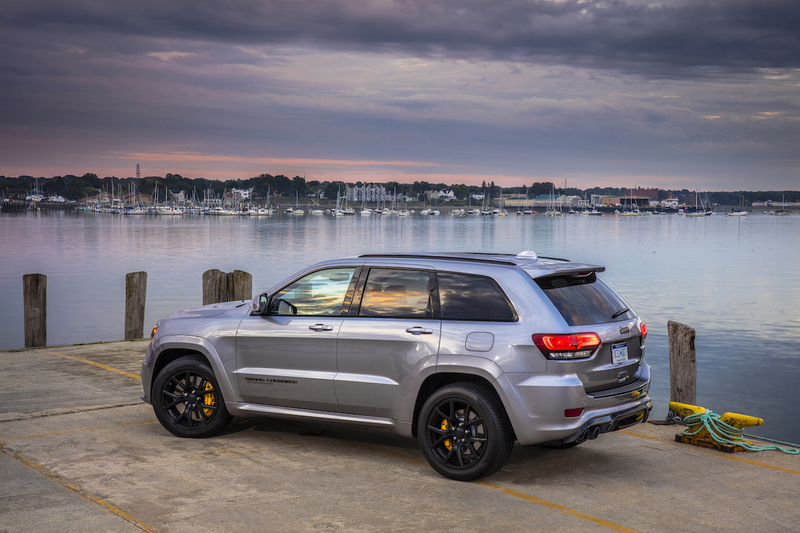 The uninitiated might be forgiven for dismissing the Trackhawk as a garden-variety Grand Cherokee at a glance. 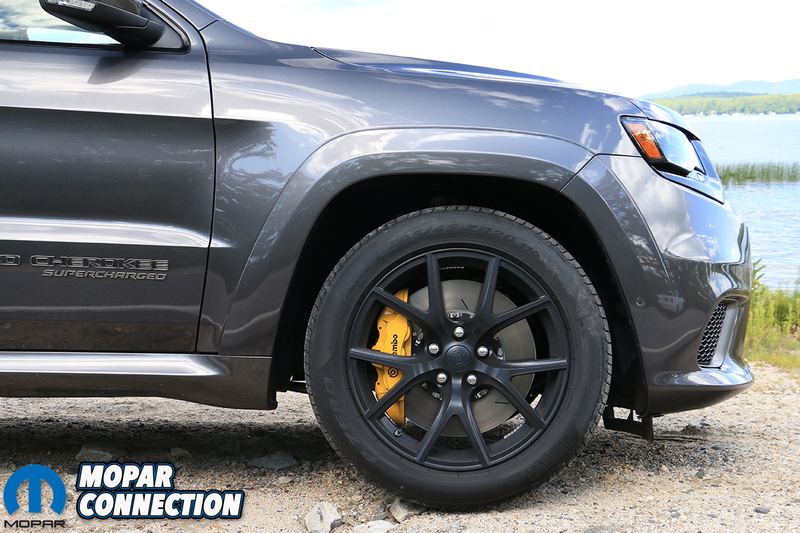 Though there are some tells – the unique yellow six-piston brake calipers up front, for instance – there’s a certain stealthiness to this supercharged monster that serves to make its capability that much more shocking once you’ve had a chance to experience it. And experience it we did, both on the back roads and highways surrounding Portland, Maine and at the as-yet unopened to public Club Motorsport road course in Tamworth, NH. 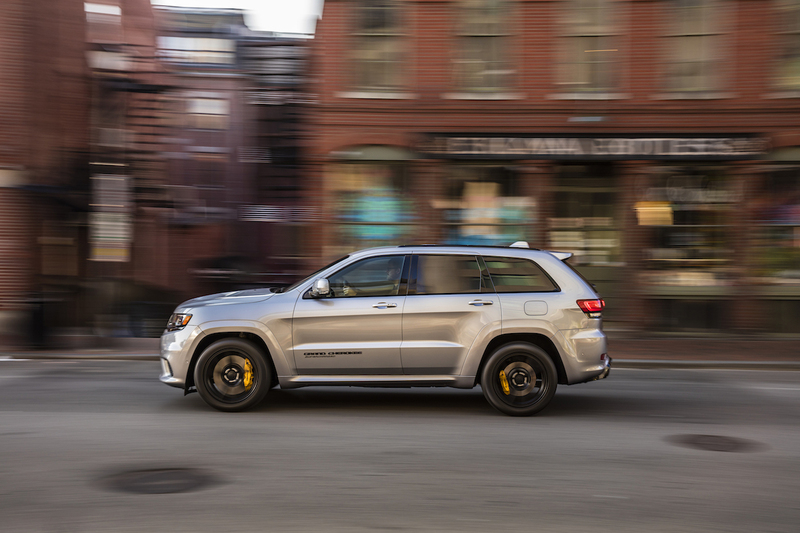 If creating a serious high performance mid-sized sport-utility vehicle could be considered a battle against the laws of physics, it appears that SRT might actually be winning this one. 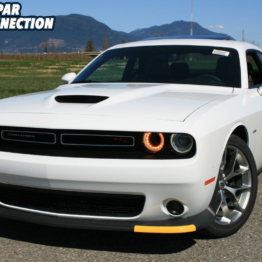 Since their debut in late 2014, the Dodge Challenger and Charger SRT Hellcat models have rewritten the standard for modern muscle cars while elevating the entire brand in the process. 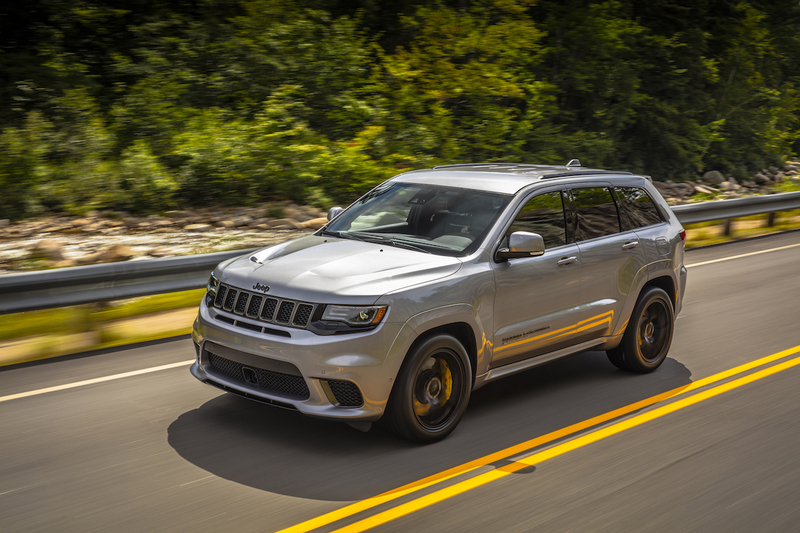 That hasn’t gone unnoticed by the brass at the Jeep, and when enthusiasts started demanding that FCA “Hellcat all the things,” the Grand Cherokee platform was quickly earmarked for development. 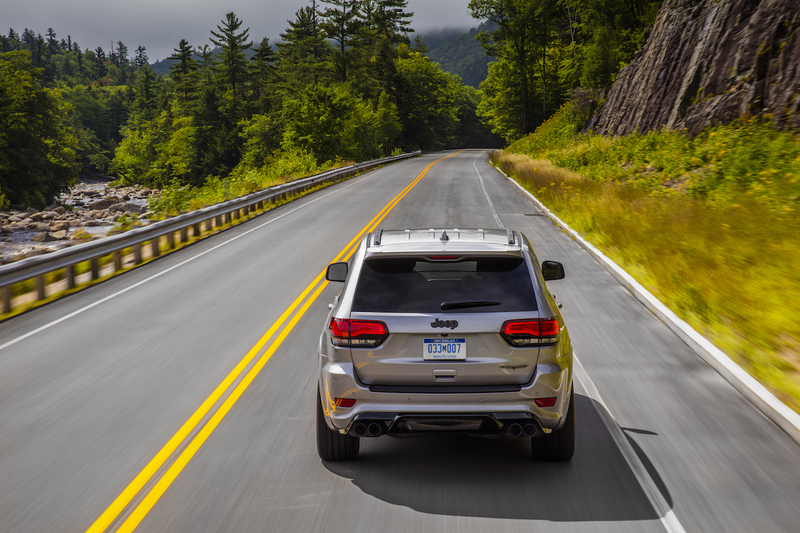 Truth is that while Jeep has built its reputation on the off-road prowess of their vehicles for decades, this is far from their first foray into road-going high performance. 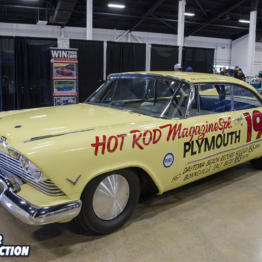 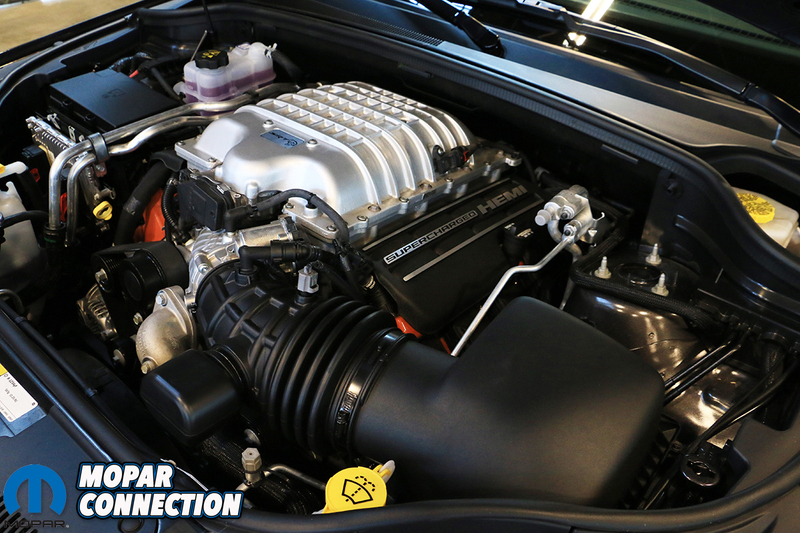 To find the origin of the species we’d have to go back to 1998, when the company debuted the Cherokee Limited 5.9, a factory hot rod that proved to be one of the quickest SUVs of its day with a sprint to 60-miles-per-hour from rest in under seven seconds. 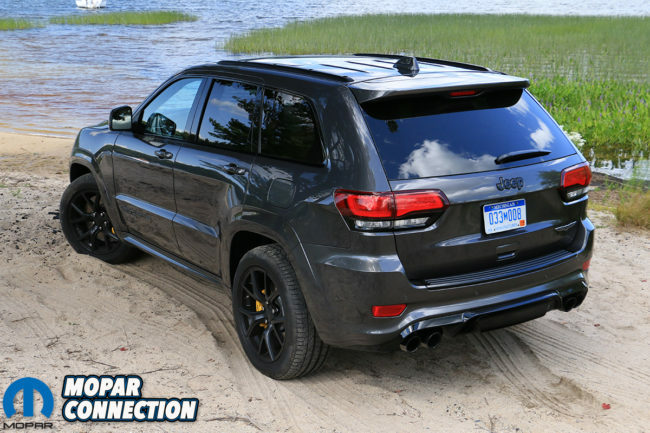 That vehicle would end up being a harbinger of performance-tuned Cherokees to come, with the SRT-8 package making its original debut eight years later for the 2006 model year and cutting that 0-60 time down to a sports car-like 4.8 seconds. 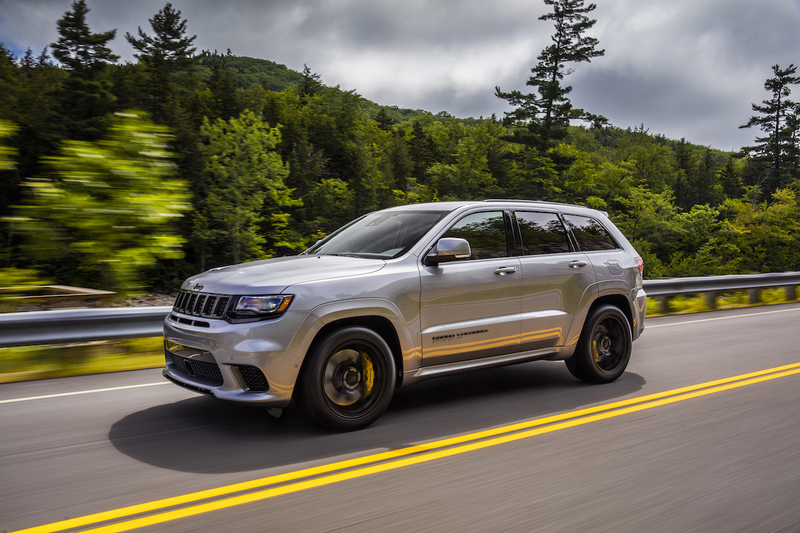 In fact, the Trackhawk isn’t the only current generation Grand Cherokee model to benefit from SRT’s handiwork, as the 6.4-liter, 475hp Hemi V8-powered version of the vehicle has been on sale since 2012 and has received a steady diet of updates ever since. 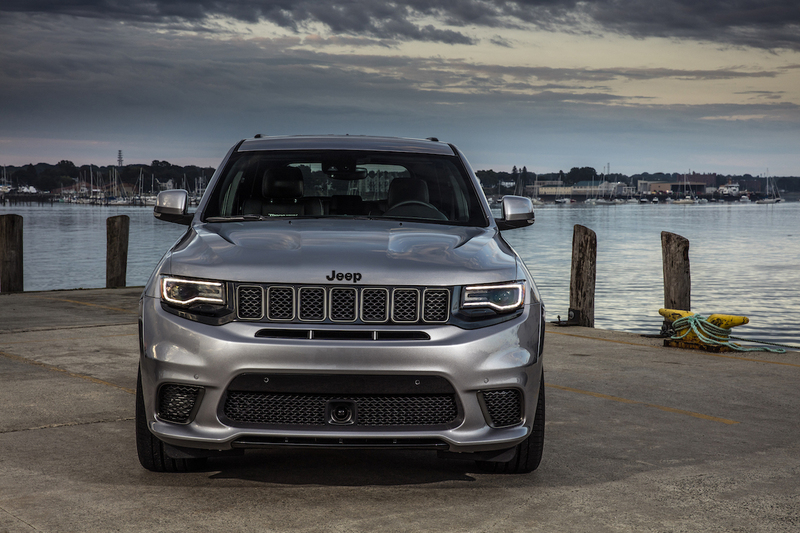 “But this is not just an engine swap into an existing Cherokee,” Tallon reminded us. And when you start looking at the laundry list of new technology and content that comes along with that Hellcat motor, that much becomes obvious. 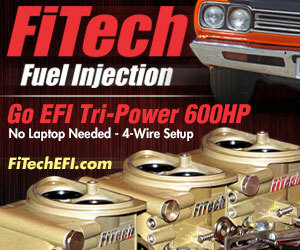 But we’d be remiss if we didn’t give that blown V8 the attention it deserves. 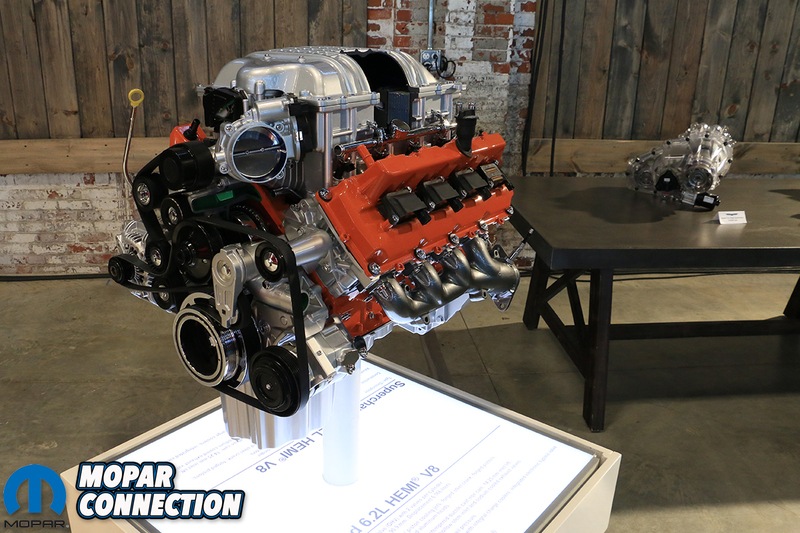 Like its application in the Challenger and Charger, the Hellcat V8 is a dramatically different beast from the naturally aspirated Gen III Hemi engines in production today, featuring a cast iron block with forged internals, unique high-flow aluminum cylinder heads, seriously uprated up cooling and fuel systems, and a beefy, 2.4-liter twin-screw supercharger mounted on top, delivering up to 11.6 psi of boost. Interestingly, while the power plant is rated at 707 horsepower and 650 pound-feet of torque in the Dodges, the Grand Cherokee’s output takes a slight ding of 5 lb-ft due to the necessity to replace the standard exhaust manifolds used in those vehicles with unique cast iron units designed to conform to the tighter engine bay real estate of the Grand Cherokee. 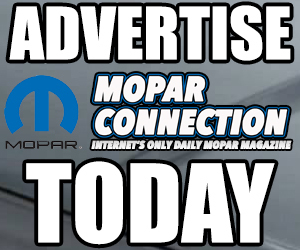 But take our word for it – you won’t be missing it. 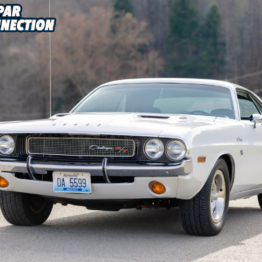 “When you look at it in terms of dollar per horsepower, this vehicle is simply unmatched in this segment,” Tallon pointed out. 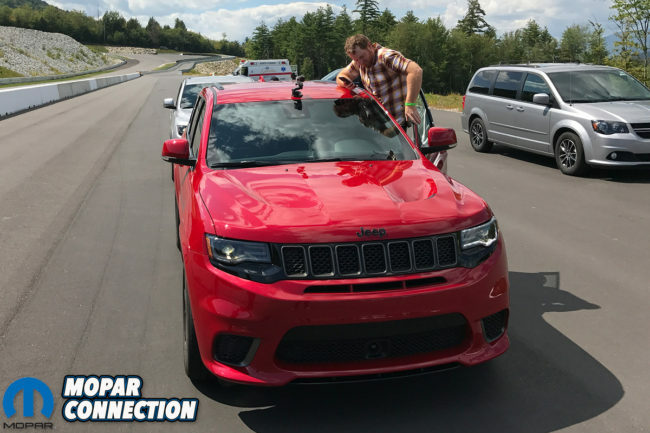 With its specially tuned Quadra-Trac all-wheel drive system, along with the launch control and Torque Reserve tech that Jeep borrowed directly from the Dodge Challenger SRT Demon, the Trackhawk will dish out consistent blasts to 60 miles per hour from a standstill in a super car-like 3.5 seconds on its way to an 11.6 second quarter mile time and a top speed of 180 miles per hour. 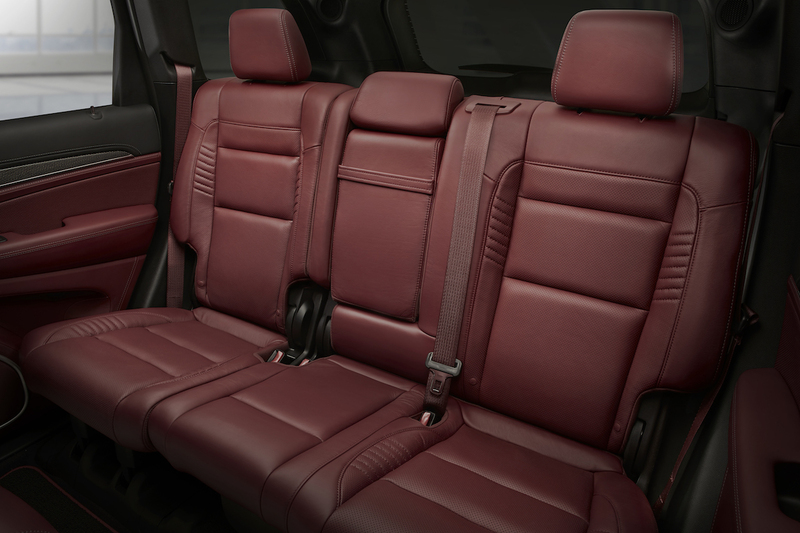 This is a mid-sized SUV, folks. 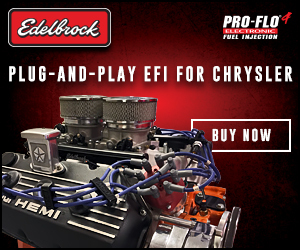 Of course it’s one thing to stuff a big motor in a vehicle and generate some impressive performance stats, but making the package balanced on the whole and durable enough to withstand a lifetime of abuse without inundating FCA with warranty claims is quite another. 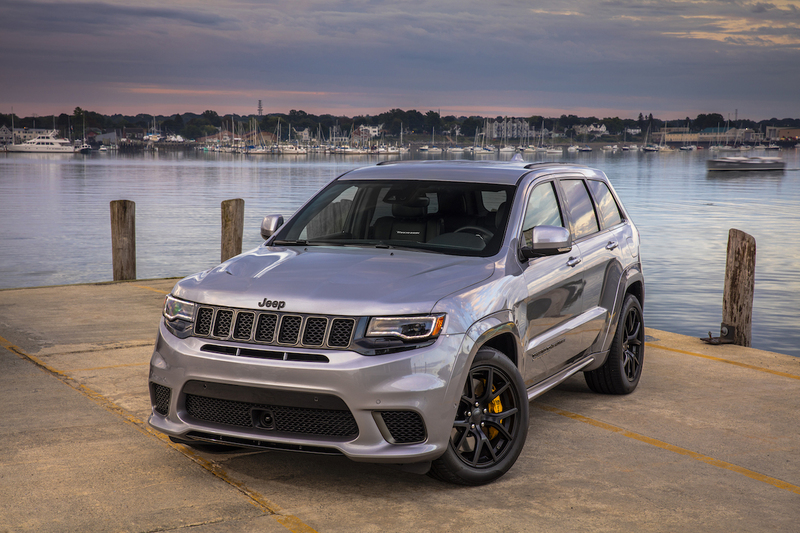 In terms of the latter, the Trackhawk sports a number of beefed up components versus that of the naturally aspirated Grand Cherokee SRT, like new forged steel driveline components, a four pinion differential, new 32-spline half-shafts made from ultra-high strength steel, and a new HP95 eight-speed automatic transmission sourced from ZF. 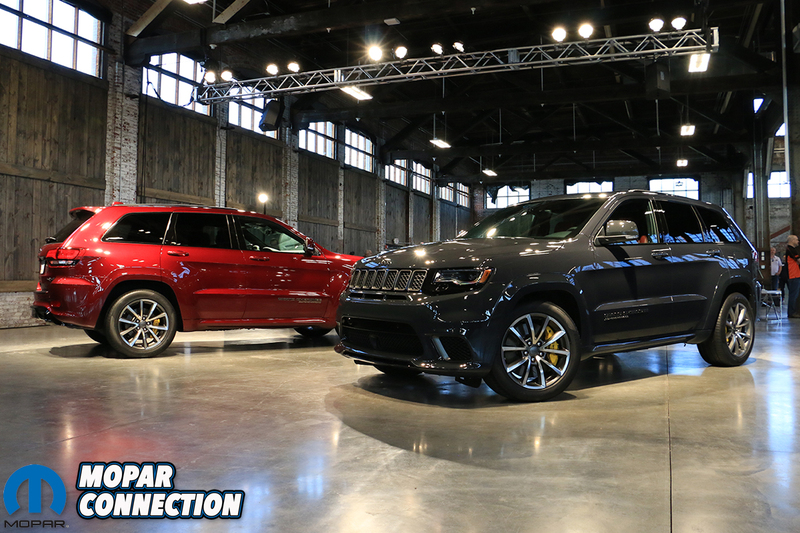 On the chassis side of things, the Trackhawk shares more with its naturally aspirated Grand Cherokee SRT stable mate. 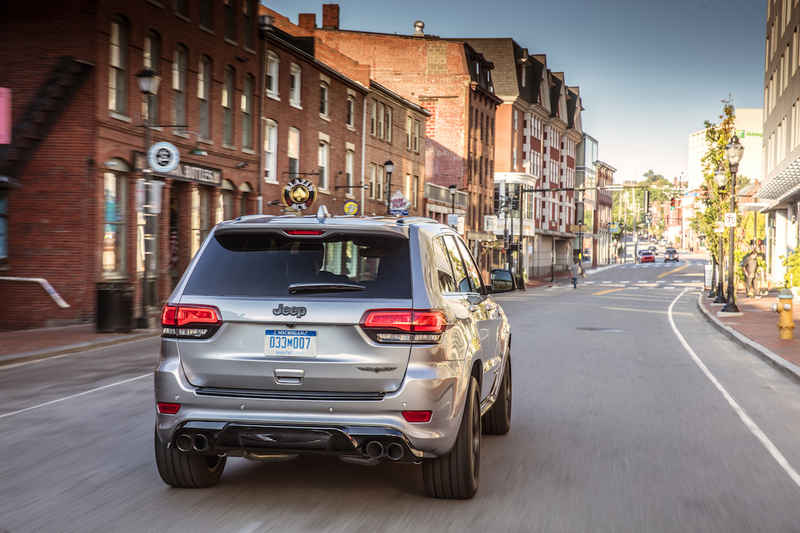 There’s not much to complain about there though – the Brembo brake package is capable of bringing this 5500-pound sport-utility to a stop from 60 mph in just 116 feet, while the three-mode adaptive Bilstein dampers have been given a unique tuning here to maintain a compliant ride around town and flat cornering at the track despite the extra mass on hand and the pace this beast is capable of. 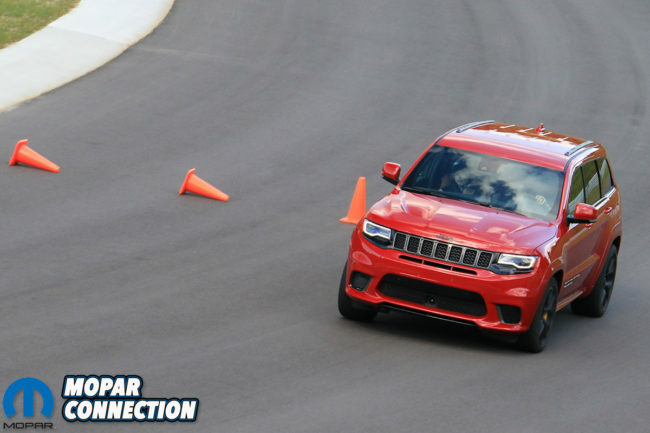 Yet the Trackhawk isn’t sheerly about road course prowess – Jeep knows these buyers expect a high level of daily driving comfort and refinement, too. 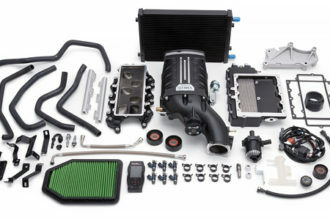 To that end, Laguna leather and carbon fiber accents find their way into a cabin that already provided a fairly posh place to do the business of driving to begin with, while improvements to the NVH levels of this rowdy supercharged power plant come by way of a noise-canceling resonator in the induction system that tunes out harsh frequencies from the blower at idle and low revs around town – but don’t worry, this thing’s plenty loud when you stomp on the go pedal. 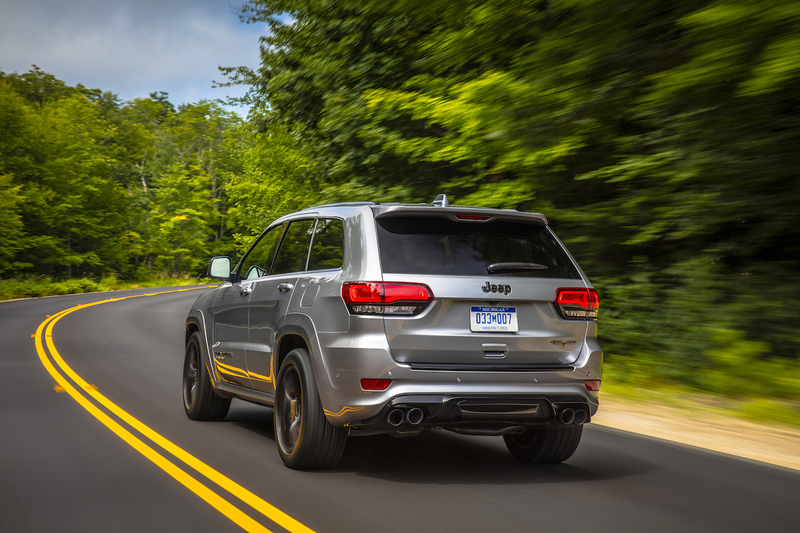 While the standard Grand Cherokee SRT already provided a “king of the road” vibe behind the wheel, the effect of adding more than 200 horsepower to the equation is one of shock and awe. 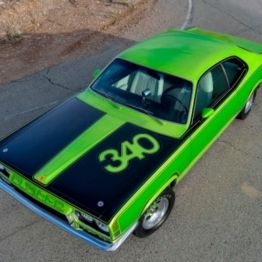 This thing is brutally quick: With all four wheels involved in the quest for traction, launches off the line are consistent and the rate of acceleration – given the sheer mass of the object in question – is jaw-dropping. 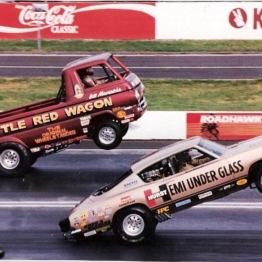 We saw repeatable 3.5-second sprints to 60 miles per hour with 1.3 to 1.4 Gs of accelerative force. 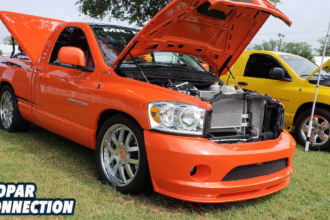 That’s some serious pull. 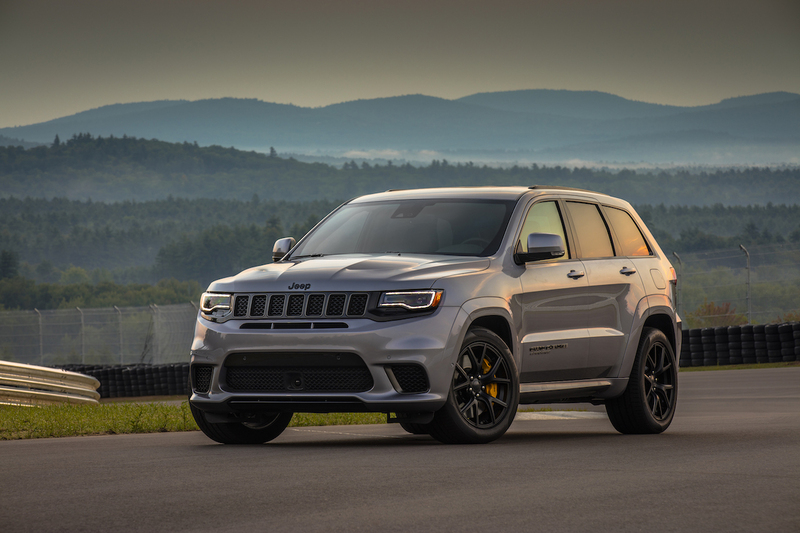 But like the other Hellcat-powered FCA vehicles, what might be most surprising is how civil the Trackhawk behaves around town – perhaps even more so than its supercharged Dodge brethren. 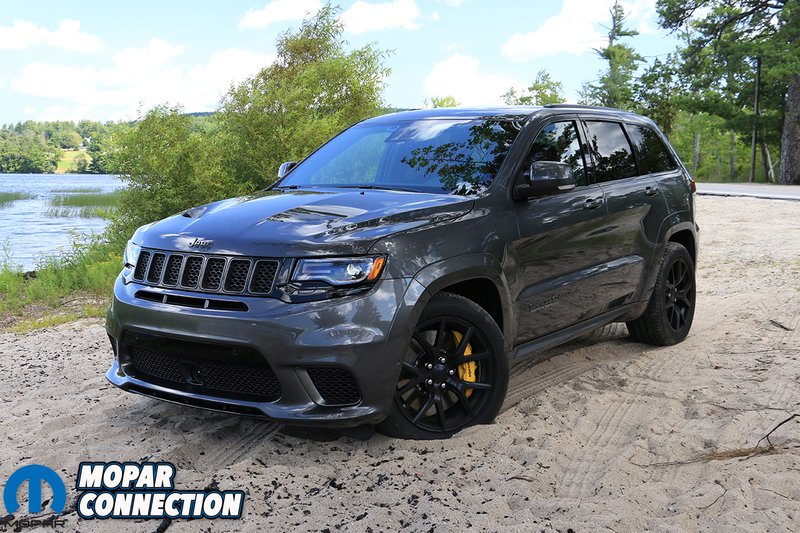 In the Auto driving mode the suspension soaks up inconsistencies on the tarmac admirably while cabin remains essentially noise-free, allowing us to enjoy the Trackhawk’s optional 825-watt, 19 speaker Harman Kardon audio system – replete with dual subwoofers – along with the well-bolstered seating that ably balances comfort with the need to keep the occupants planted during the kind of performance driving this SUV is capable of. 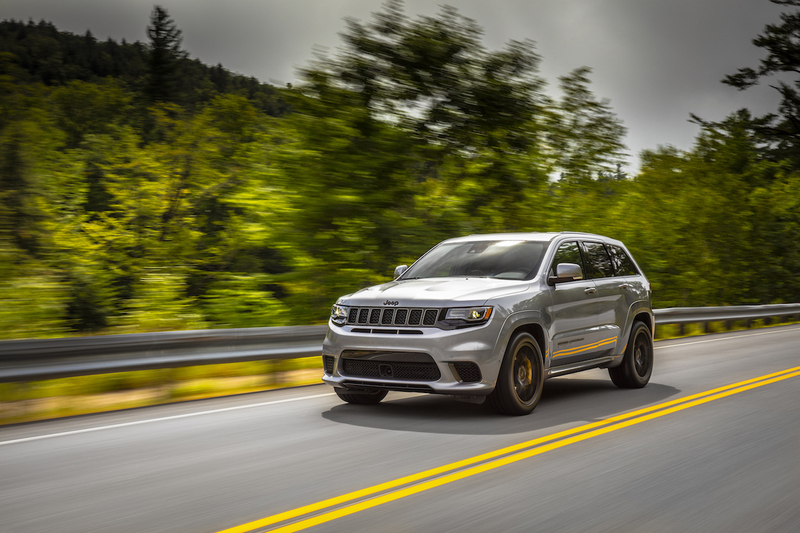 Turn the drive mode dial over to Sport and the Trackhawk’s behavior becomes more urgent by way of tightened up suspension dampers, a livelier torque split that sends 65% of the grunt to the rear end, and a gearbox that’s dialed in for quicker response. 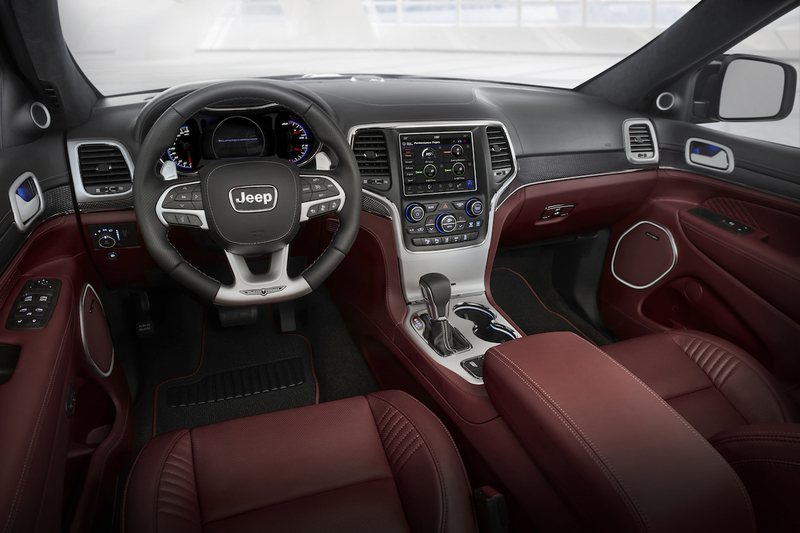 For those that long for the ability to row their own, there’s always the option of bumping the shifter to manual mode and selecting gears via the steering wheel-mounted paddles. 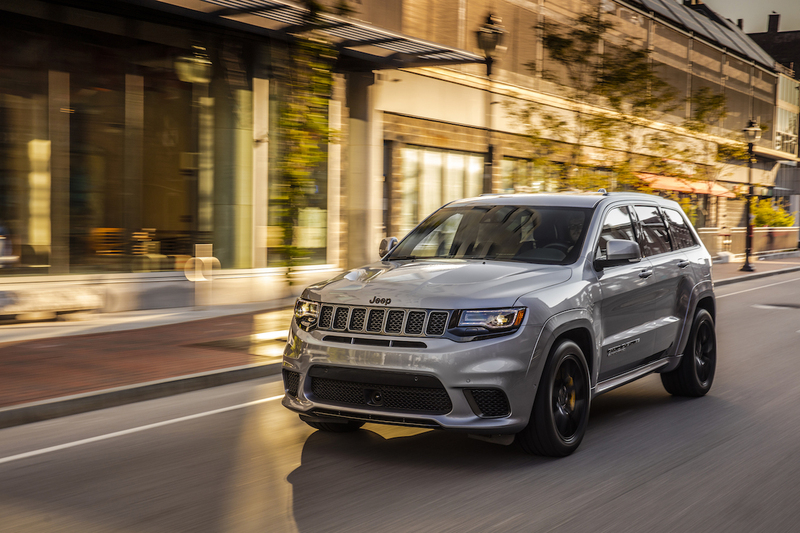 With shift times reduced by 50% versus those in Auto mode, it’s not a bad option for those who want a little more driving involvement when taking the long way home from work or when towing, the latter of which is rated at up to 7200 pounds in the Trackhawk. 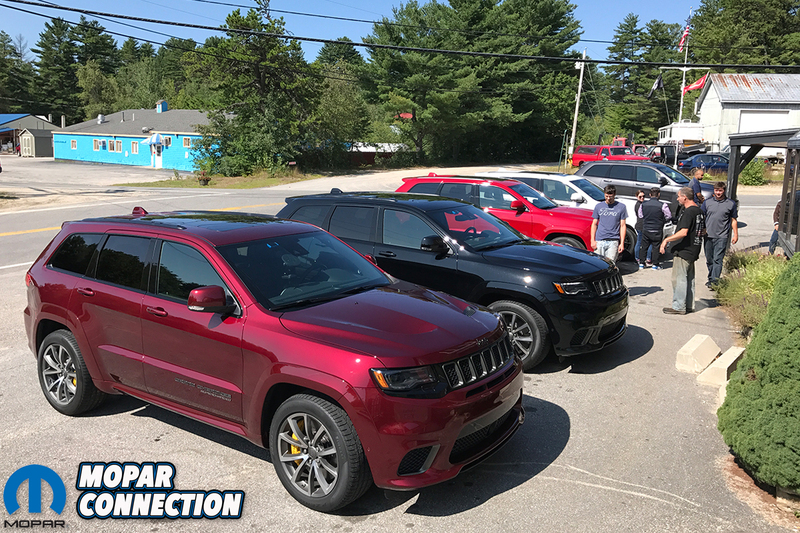 Our two-hour trek from Portland landed us at Club Motorsports road course in Tamworth, NH: A 2.5 mile, 15 turn track with 250 of elevation change that’s literally carved into the side of mountain. 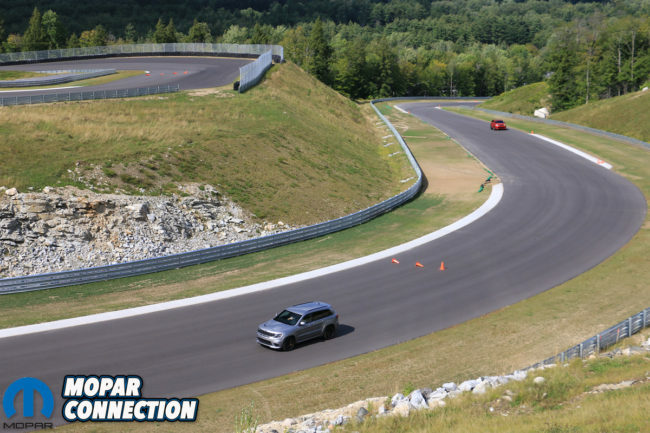 To say it’s a picturesque locale for a race track would be an understatement, and we’re privileged to be among the first group of individuals to experience it in all its glory – the course isn’t available for public consumption just yet, with Labor Day weekend slated for the track’s official opening. 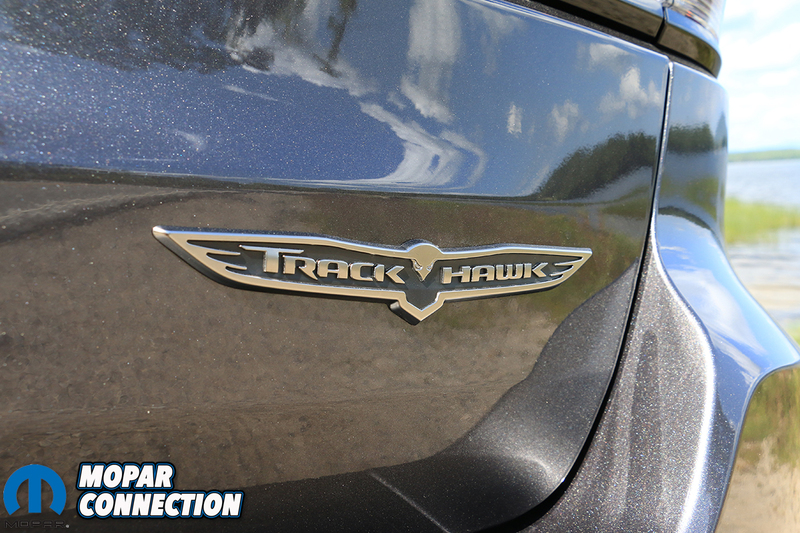 With a relatively high center of gravity and a curb weight of roughly 5400 pounds, you’d be forgiven for assuming the Trackhawk wouldn’t be much of a dancing partner on a race track. 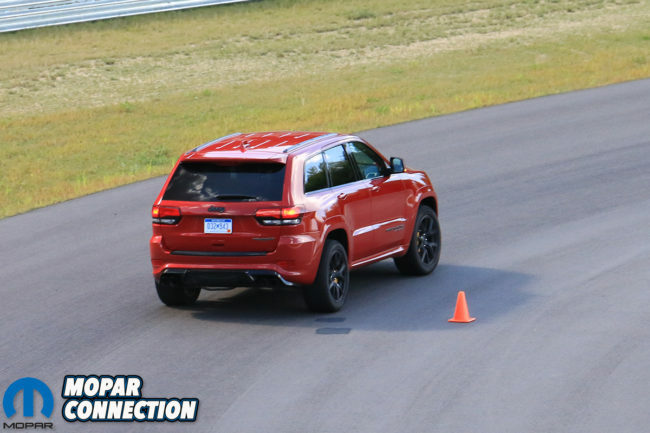 While it’s probably not going to replace your Viper as the go-to track day toy, the honest truth is that in right hands, this SUV will embarrass a lot of high-buck sports cars on a road course. While that much mass is difficult to ignore, the Trackhawk hides a lot of it by way of copious amounts of horsepower, massive brakes, and stiff damping in Track mode that eliminates the majority of the body roll that would otherwise kill the fun. .88 g of lateral grip is available when equipped with the optional Pirelli Pzero three-season performance rubber and the Trackhawk makes good use of it, delivering neutral handling than can be adjusted to taste with the throttle. Of course, with 707 horsepower and the all-wheel drive system’s ability to get the power to the pavement, the Trackhawk is also an absolute weapon on the straights, leaving more or less everything outside of 600+ horsepower sports cars in its wake. 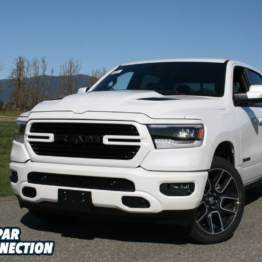 Of course there’s a price to day for all this performance and luxury, and it starts at $85,900 before you add optional items like the panoramic sunroof, the high-end audio system, and the grippy performance rubber. 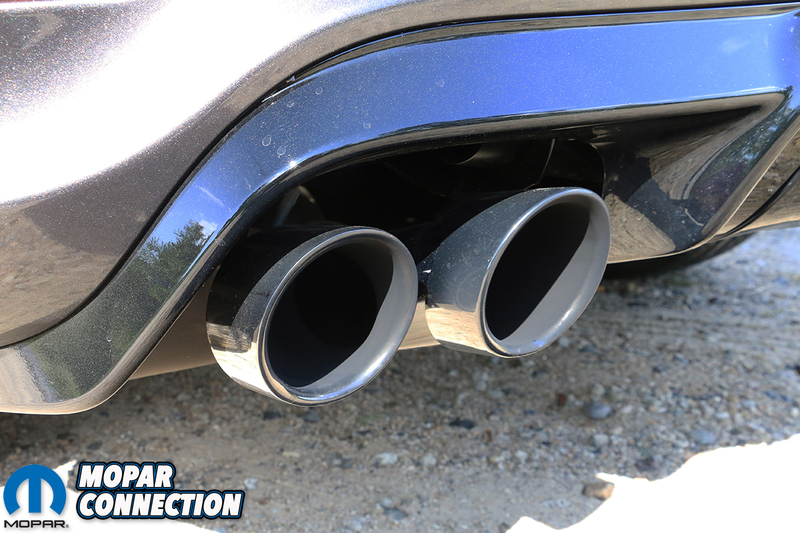 Our tester managed to crest the $100K mark. 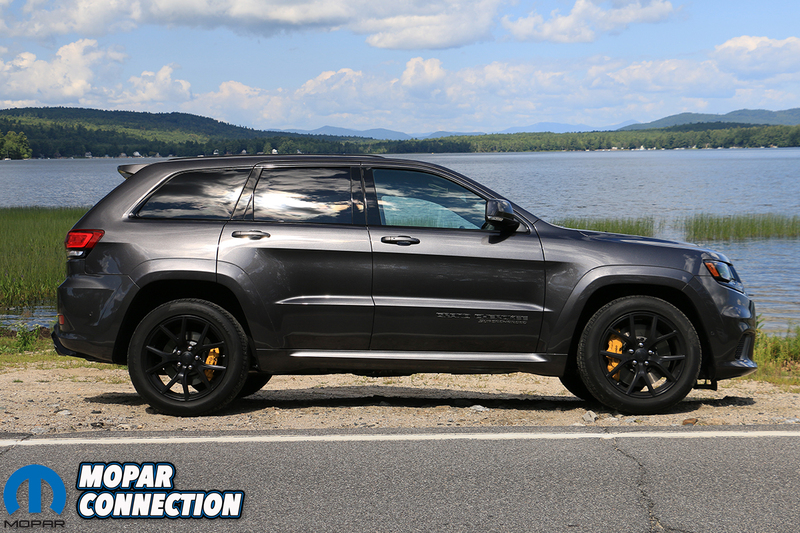 That’s a lot of coin for a Grand Cherokee, but you’re also getting a lot of Grand Cherokee for the money. 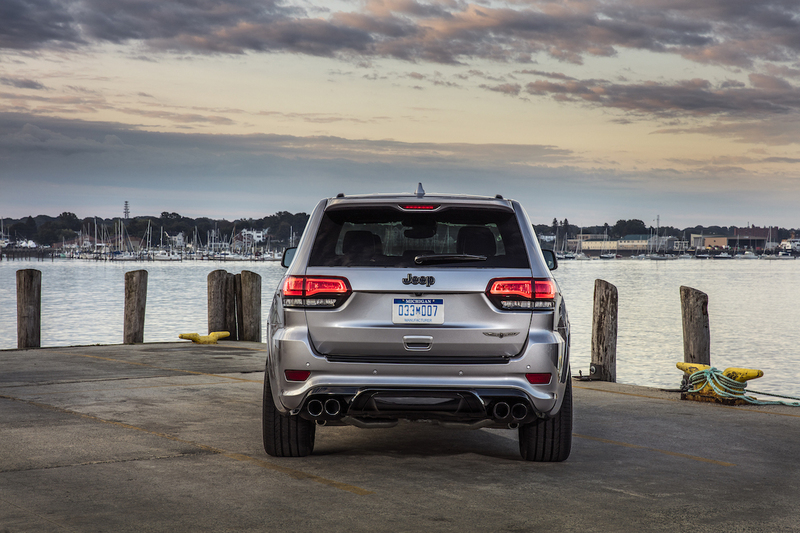 And for some, the piece of mind of having the fastest, most powerful factory-produced SUV in automotive history is basically priceless. 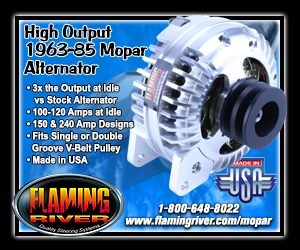 Tallon tells us that when it comes to production limits, the company will build “one less than the market demands,” which is a clever way of saying there’s no specific cap for buyers to be concerned about. 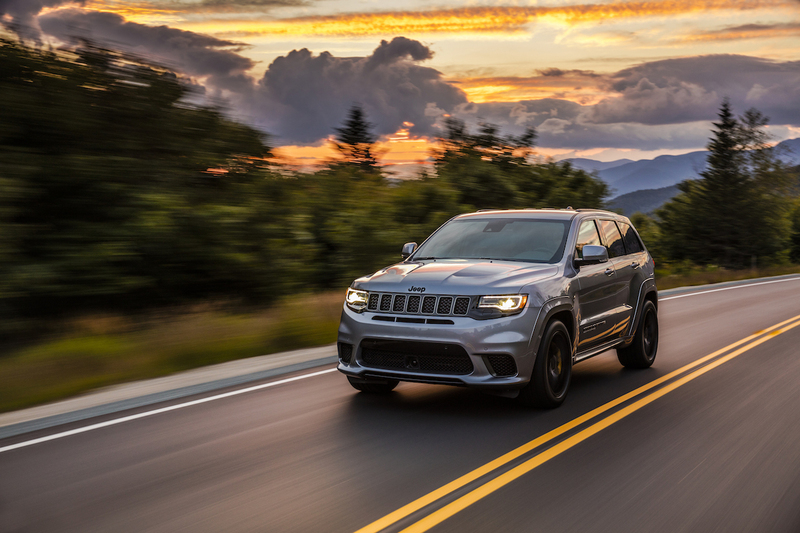 Jeep should begin taking orders for the Trackhawk by the time you’re reading this, with the first deliveries expected in the fourth quarter of 2017.